Where to Purchase/Details: $20.00 for 0.34oz/10mL. You can get this on Glossier and in Glossier stores. Packaging: The highlighter comes in an annoying foil pouch packaged in a box. Thankfully they're getting rid of the foil pouch. The highlighter looks quite unassuming coming in a nail polish-like bottle with a small doefoot applicator. I mean it when I say it's small, it's probably the shortest doefoot applicator I've seen. It does mean you can't really over apply the product on your skin. 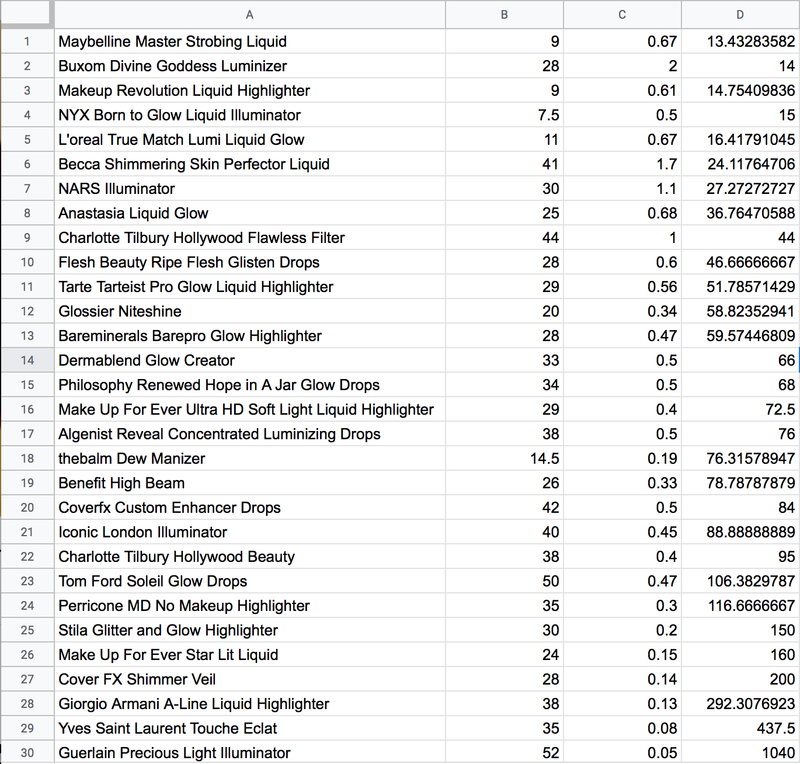 I've heard a few people claim it's quite small for what you're paying but I created a spreadsheet comparing the price per oz of thirty drugstore and high end highlighters. The first column is the price, the second column is how many ounces you get, and the last column is price per oz. 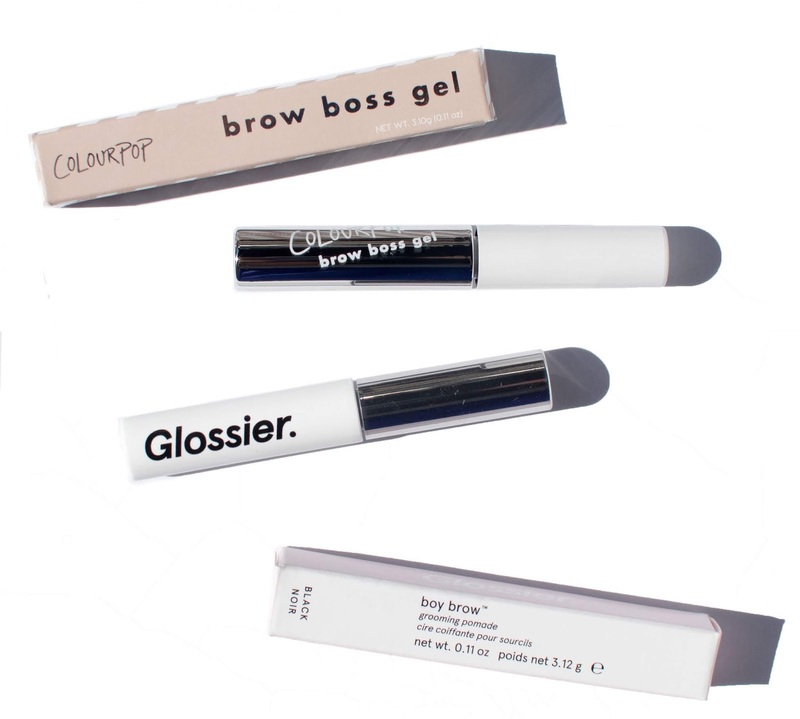 Glossier is pretty much in the middle, it's more expensive than drugstore highlighter but not as expensive as other high end brands. Finally, a highlighter with depth. Made with a superior, refined pearl powder formula this buildable concentrate creates an illuminating, foil-like finish that sets and lasts. Control your glow by applying with the precise doe-foot applicator and blend seamlessly onto cheekbones, brow bones, the Cupid’s bow, and eyelids. Niteshine’s potent sheen layers easily over makeup and comes in four high-impact shades that give you the glow you want, where you want. I didn't have much appreciation for this until I kept seeing it in sunlight and after watching Karima McKimmie's video on glossy highlighters. It reminded me that a glossy highlighter has a less pigmented/translucent base but lots of shine which is what the Niteshine Highlighter is. The base color isn't that pigmented so when you're looking at it straight ahead, it's not prominent but when you turn your head it catches the light beautifully. I don't really think it's that buildable but I do think it can look less intense if you apply it with your fingers vs. a brush. It's got a creamy texture that isn't too liquidy so if you use a brush, use one that is a little more dense than fluffy. It can spread so less is more when you're applying. 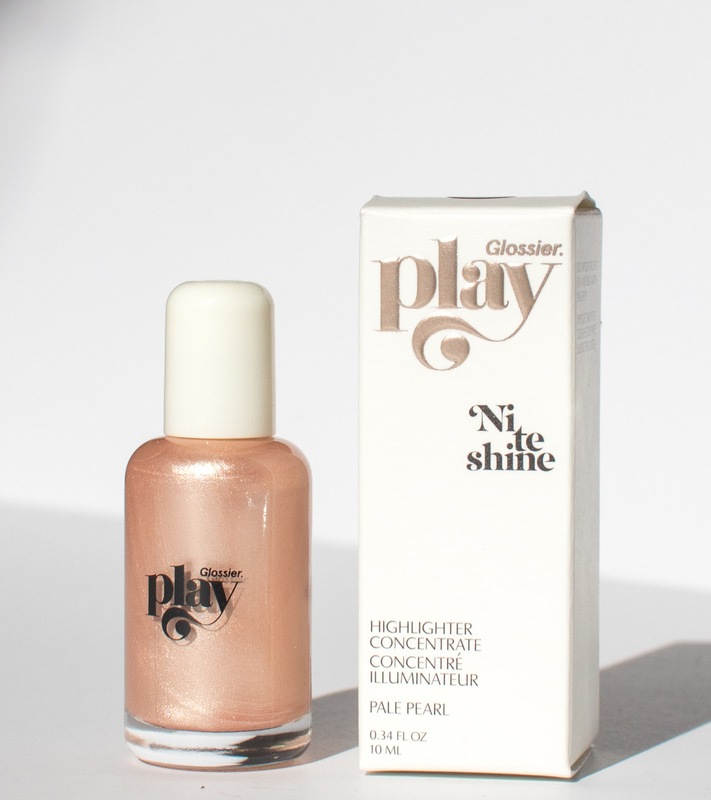 Niteshine is Glossier's answer for people want a glossy/wet looking highlight but who don't want it to feel dewy or sticky on their skin. 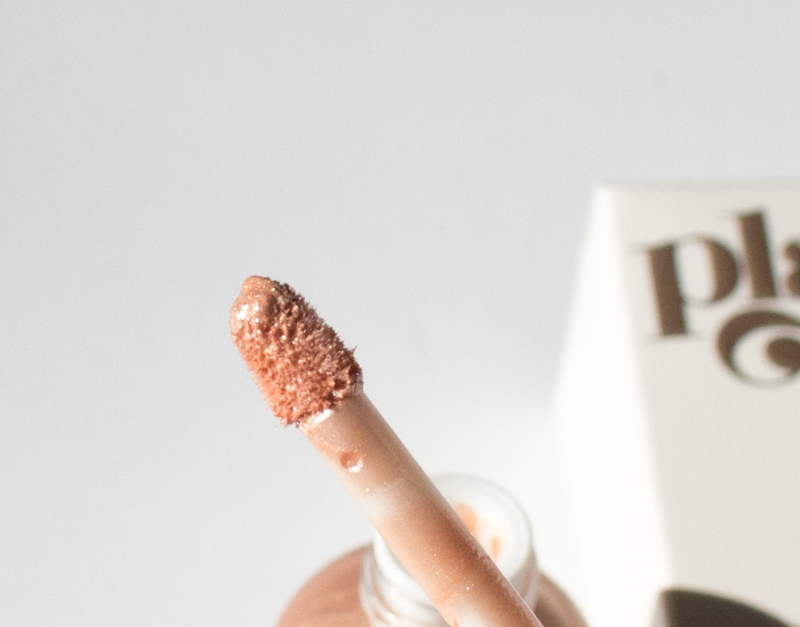 If you want to compare it to Glossier's Haloscope, Haloscope gives you the dewy effect because the formula is actually glossy/doesn't dry down. 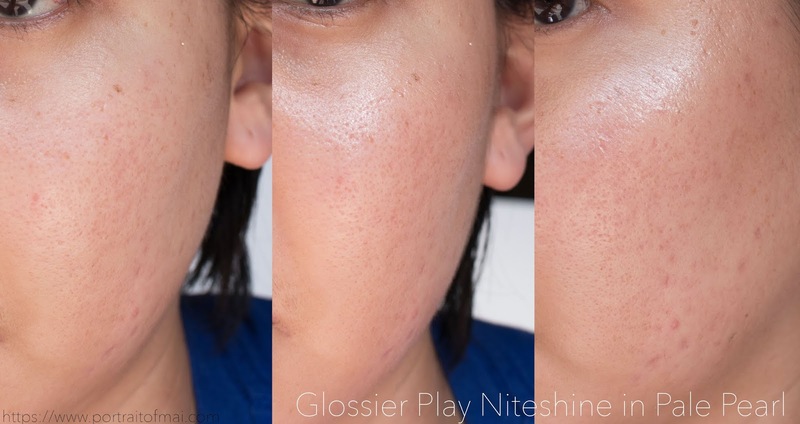 Niteshine is more intense and while it does give you that glossy effect, the sheen can enhance skin texture/pores if you're not strategic with placement. They mean it when they say it can look foil-like. The Niteshine formula dries down and lasts incredibly well on my oily skin, beyond 9+ hours. Pale Pearl is described as an "opalescent shimmer for a champagne gleam". Here's how it looks in an arm swatch. Here's how it looks on my skin. The first photo is my skin without the highlighter, the second is my skin with the highlighter but from the front, and the third photo is how the highlighter looks when it catches the light. I feel like it is difficult to capture the effect in photos but it is quite beautiful. I was ready to brush the highlighter off as just being another liquid highlighter but I genuinely enjoy how it looks on my skin and I love the effect it gives. I don't apply much, maybe one to two dabs from the applicator and I use a synthetic brush to blend the highlighter out. 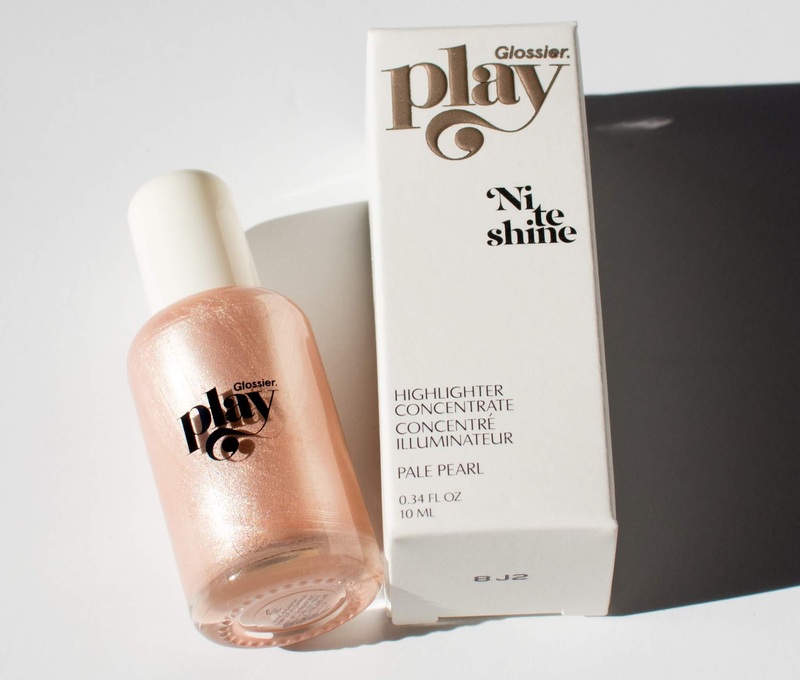 If you're in the market for an intense but glossy looking highlighter, you might like the Glossier Play Niteshine. 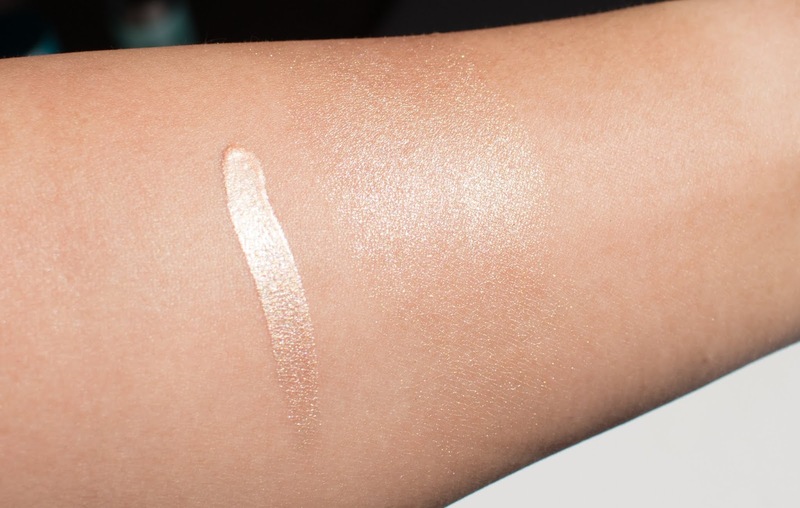 What highlighter are you using right now? Are you into glossy looking highlighters? Disclaimer: I purchased this highlighter myself with referral credit from Glossier. All opinions are my own. I was not compensated for this post. This post contains a referral link which provides me with credit if you decide to make a purchase. I really like using my Becca Cosmetics powder highlighters. They just seem to apply really well to my skin. I have one from Chaos Makeup that is AMAZINGING BLINDINGLY GORGEOUS, LOL,...but not really something I can wear everything. Thanks for letting me knoe about this one. I didnt even know they had a highlighter! I like a good shimmer powder highlight but this is pretty for a very natural look. Wow that's pretty in the sunlight! I'm so impressed by your spreadsheet. This product is way too young for my skin but it has a very pretty glow to it. I've never actually worn a highlighter, but this looks lovely on you ! I like that you can control the intensity so it's not so BAM in yo face. 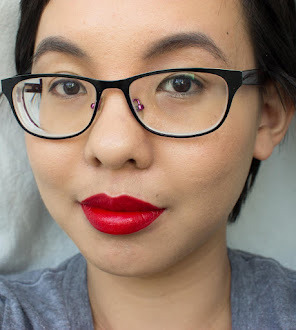 I love achieving a glass skin effect with Saucebox Champagne Bomb or Wet n' Wild's Moon Tears. I may have to pick this up. I really love how it looks on you! That has the perfect amount of highlights and the warmer tone looks like something that would work with my skin tone. Thanks for sharing! I still haven't dabbled in the world of highlighters but I love how this looks on your skin! This looks like a highlighter I need in my collection! I LOVE the spreadsheet that you have! I have heard such good things about this highlighter! I don’t use highlighters but this one looks nice and definitely one I would give as a try.